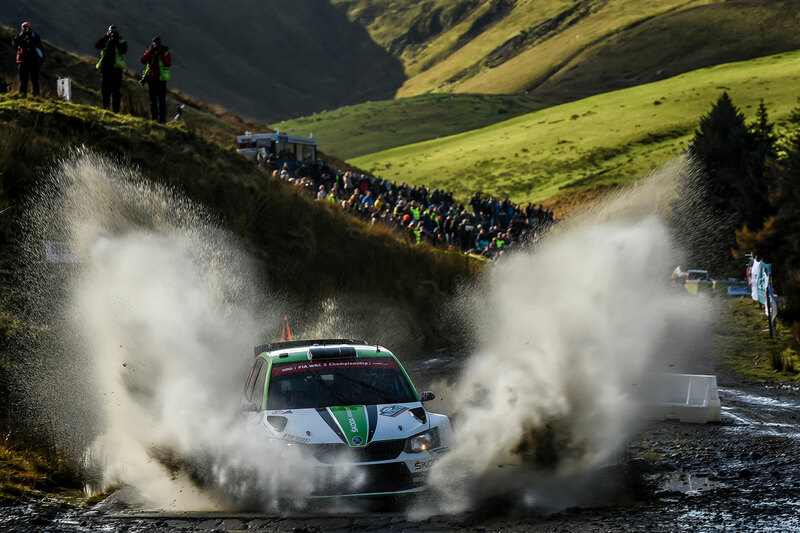 After an early wake-up on Saturday, the crews had to face a real marathon of 17 hours on the road. 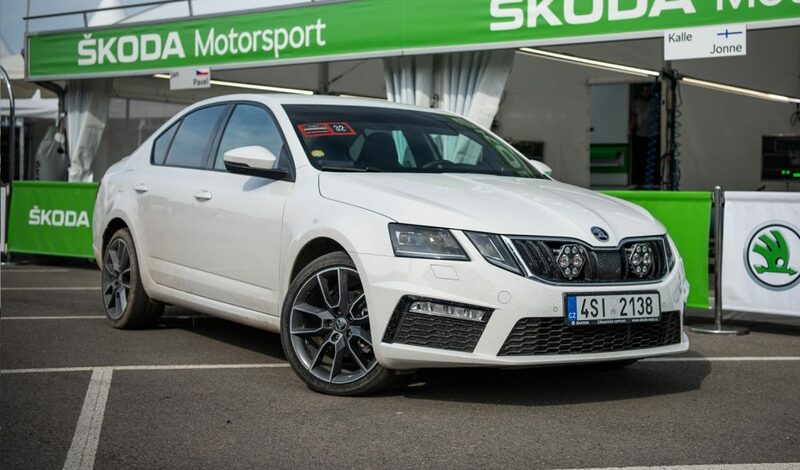 The 142 competitive kilometres were divided into nine stages; seven of them had to be driven without any service in between. 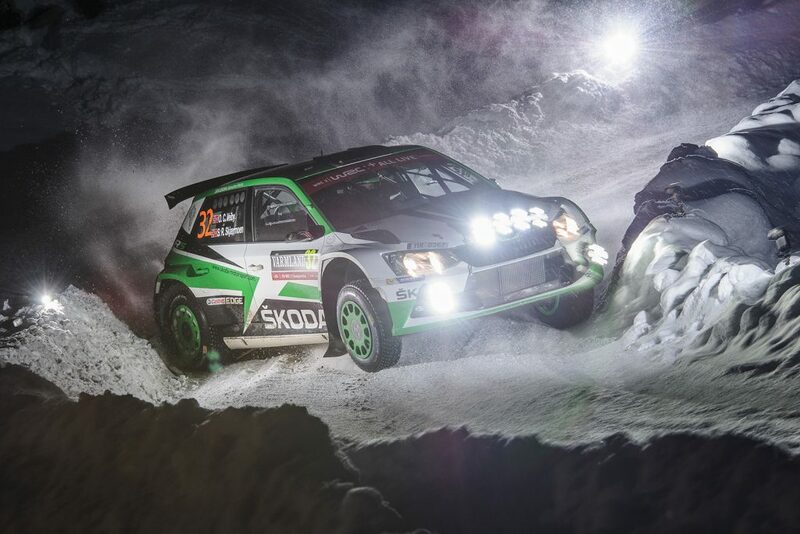 The last two stages were run in the dark – a real challenge for drivers and co-drivers! 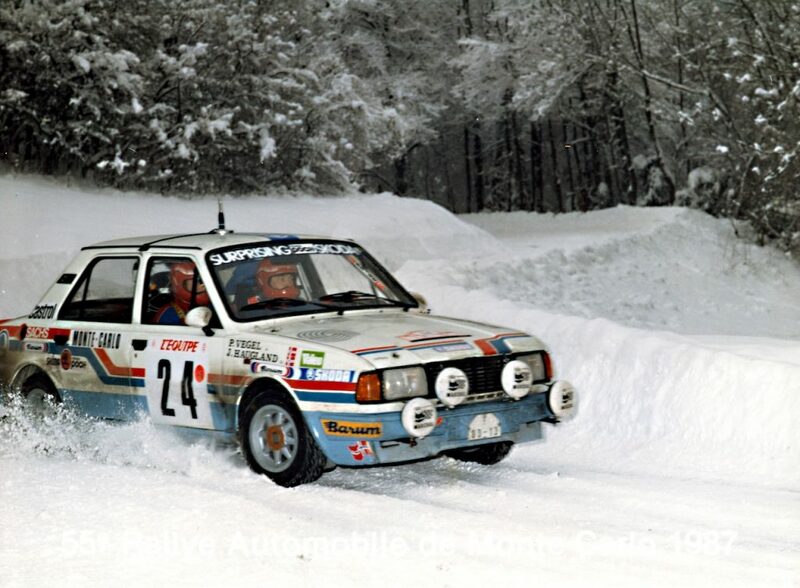 On top of that, after the sunny first leg, occasional rainfalls had turned the forest tracks into partially muddy passages. 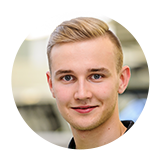 Newly crowned WRC2 Champion Tidemand started the Saturday leg with a string of four fastest times, increasing his lead even more comfortably. The ŠKODA FABIA R5 of his young teammate O.C. 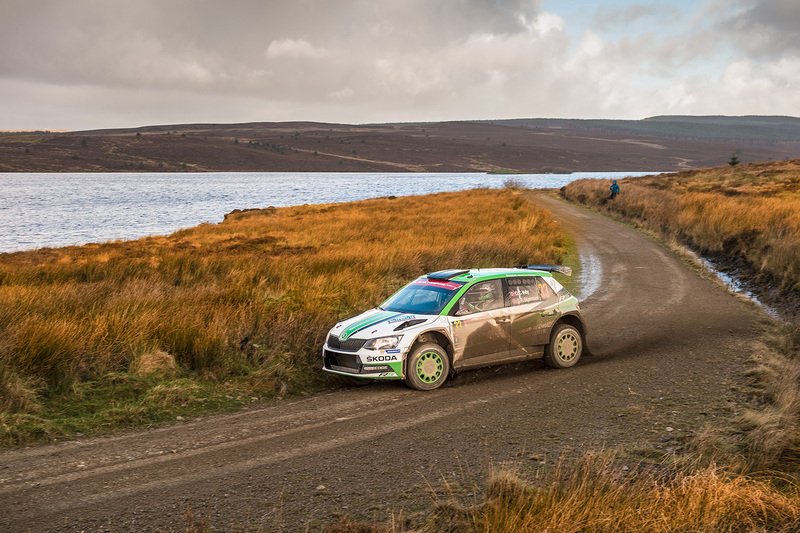 Veiby had been repaired after a roll during the first leg, giving the Norwegian the chance to re-start. 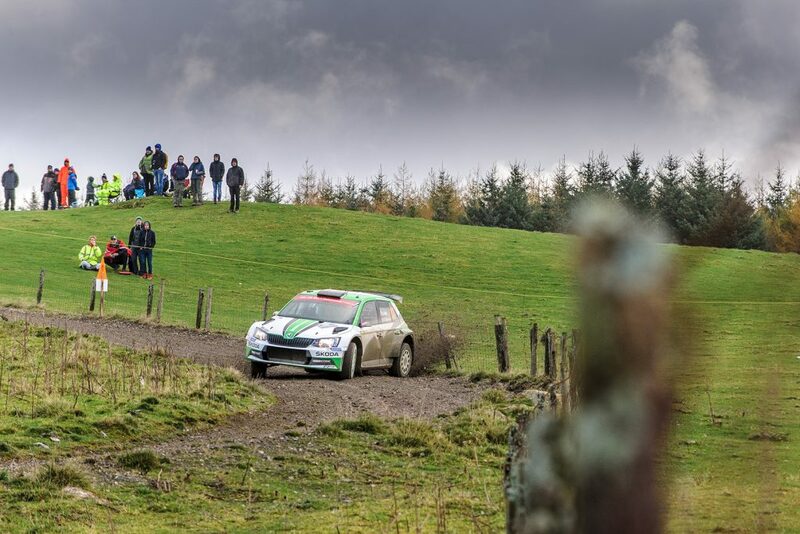 But a puncture on stage 9 delayed him again by more than two minutes. 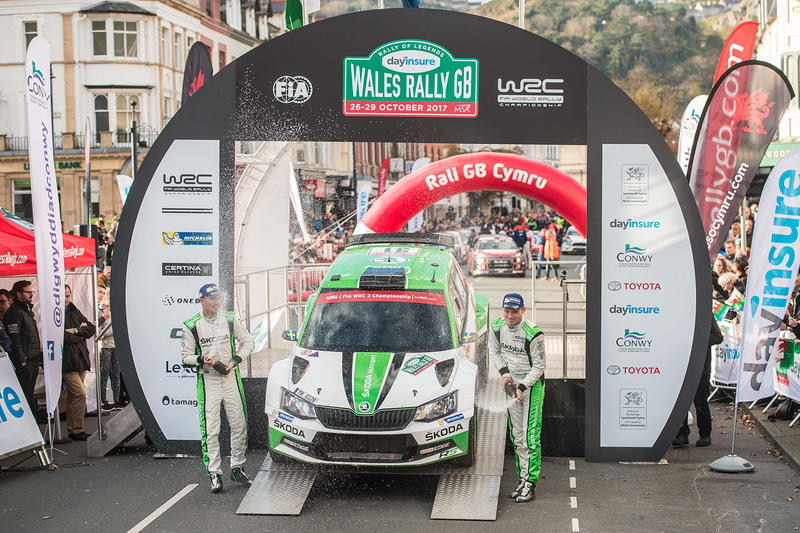 From there on the task for Veiby was reduced to getting as much experience as possible on the demanding gravel stages in Wales. On his first ever rally in Wales Juuso Nordgren, driving the third official ŠKODA FABIA R5, was fighting to defend seventh position. 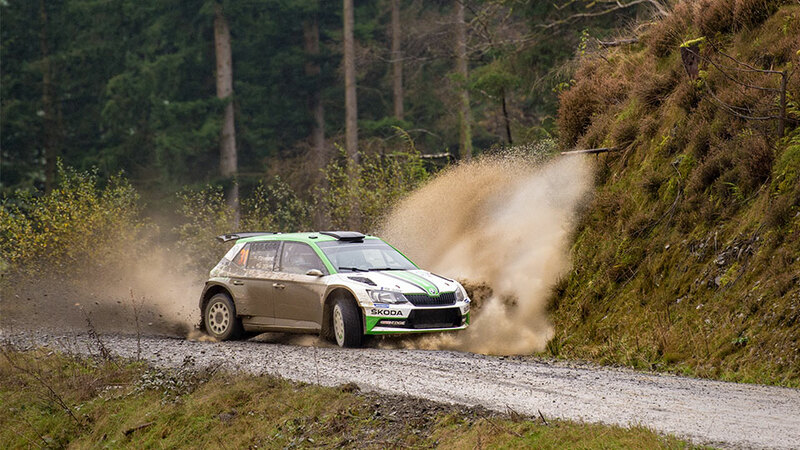 After the service halt in Deeside, the crews were heading for the last two stages of the Saturday leg, which took place in the dark with a lot of fog causing poor visibility in the Welsh forests. In addition a stormy wind blew the fog around, the conditions changing basically after every car. 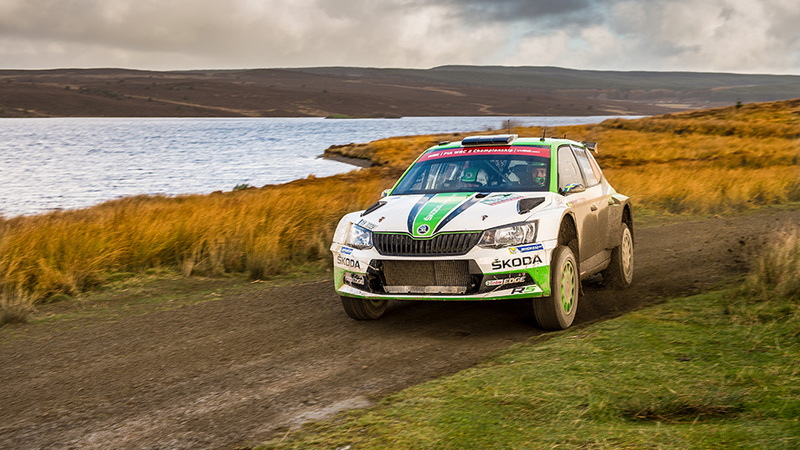 Even in these challenging conditions WRC2 Champions Pontus Tidemand and Jonas Andersson were unbeatable. 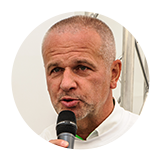 They virtually defeated their competitors by more than half a minute. 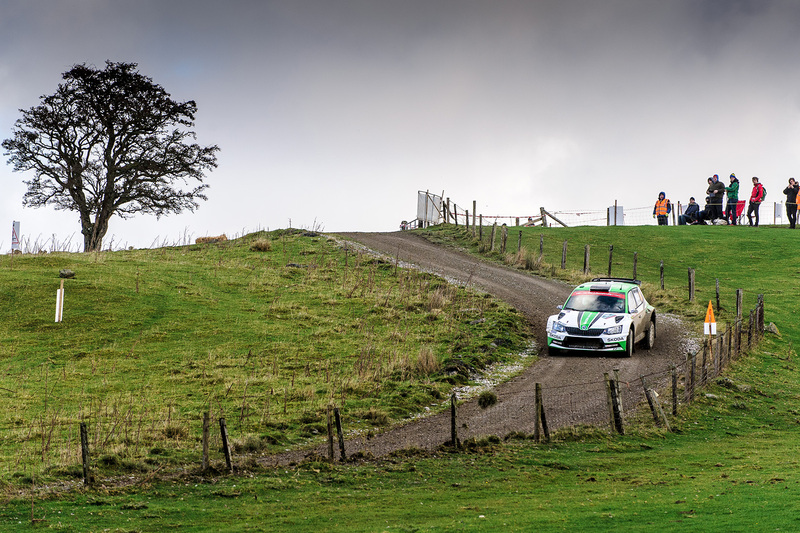 Reaching the end of the Saturday leg, they had increased their WRC2 lead to 1.43 minutes. 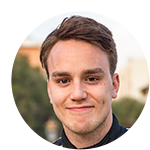 Similar to RallyRACC Catalunya, the past WRC round in Spain, Finnish youngster crew Juuso Nordgren / Tapio Suominen were fast in the dark as well and consequently moved up to sixth position. 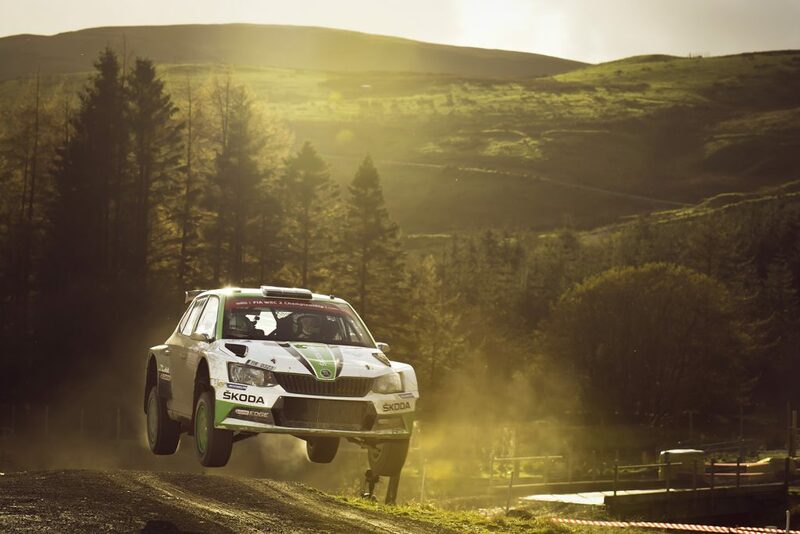 During the final leg on a sunny Sunday, Pontus Tidemand and Jonas Andersson again controlled the WRC2 field, in total won eleven out of the 21 special stages and conquered their fifth season win. 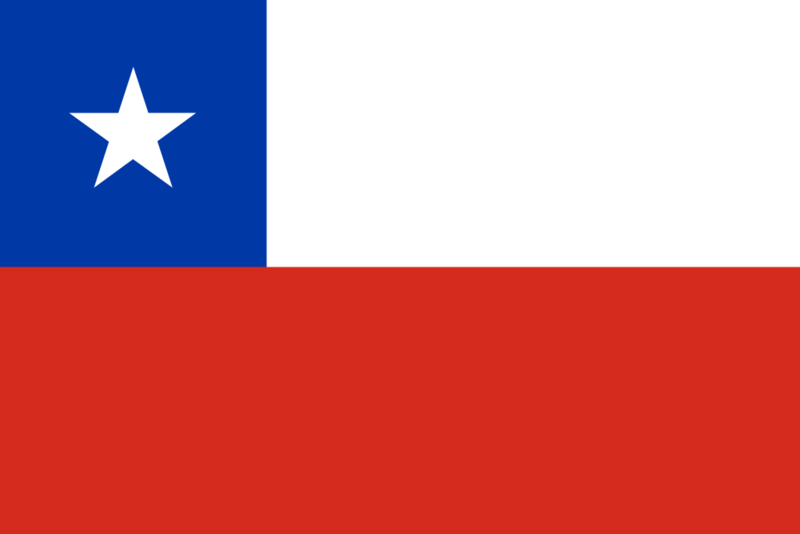 A victory, which was never in danger. 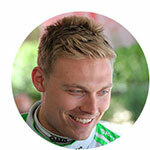 “It was an incredible rally for me. 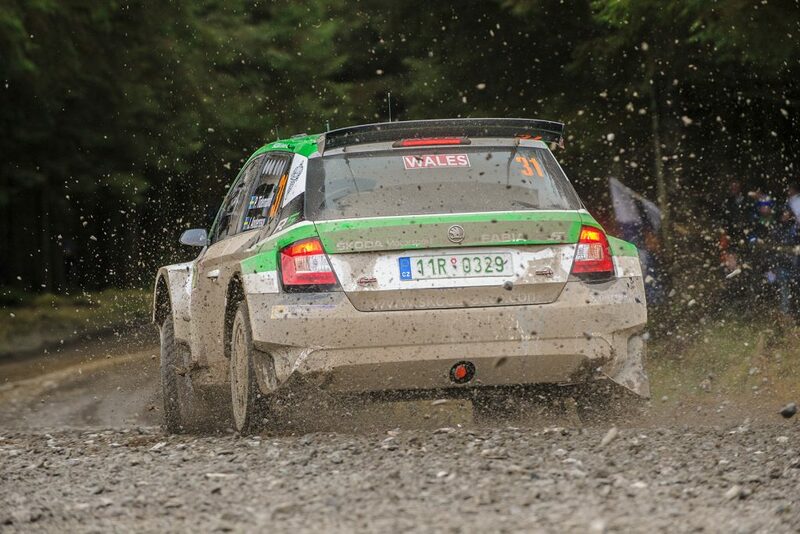 It was a pleasure to drive the FABIA on this challenging gravel stages. 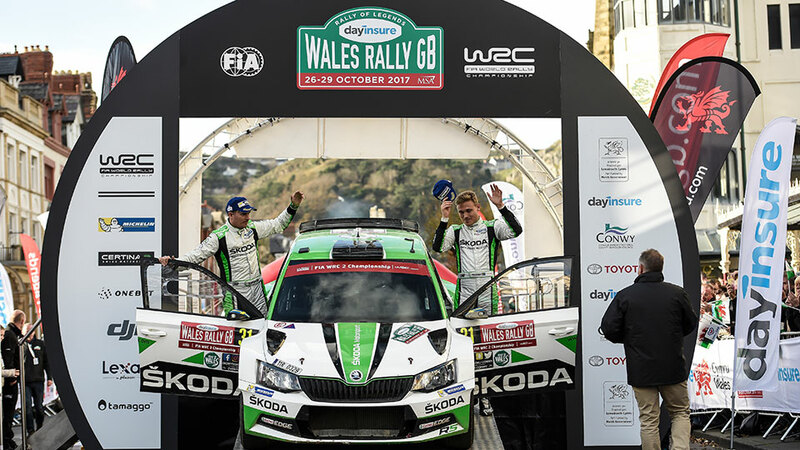 Many thanks to the ŠKODA Motorsport mechanics for providing me with such an excellent car”, emphasized a delighted Pontus Tidemand on the podium at the seaside resort of Llandudno. 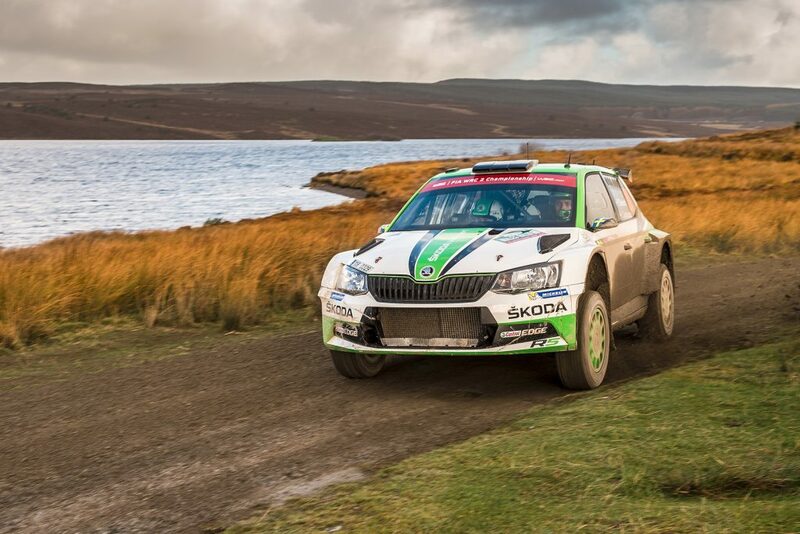 In the end Juuso Nordgren brought his ŠKODA FABIA R5 to the finish on a fine fifth place and was happy having finished Wales Rally GB at all. 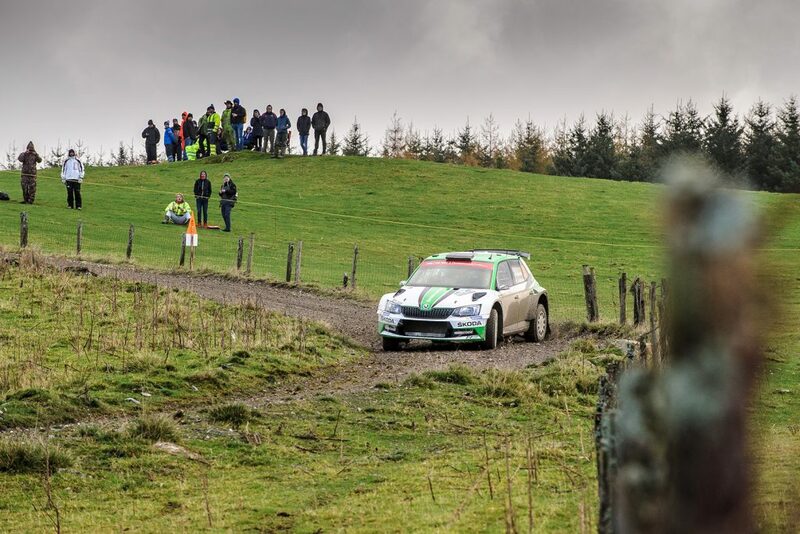 “For me it was by far the most challenging rally I ever did. 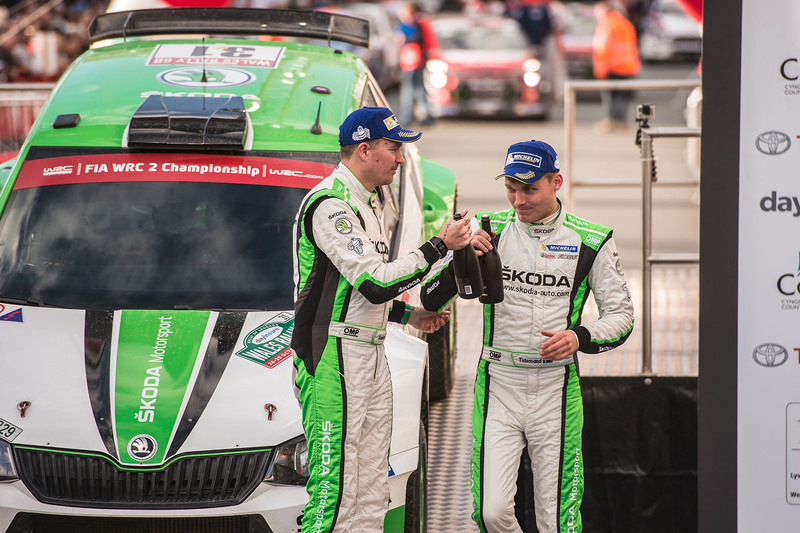 But I was enjoying a perfect car and the great support of the whole ŠKODA Motorsport team”, the Finn said. 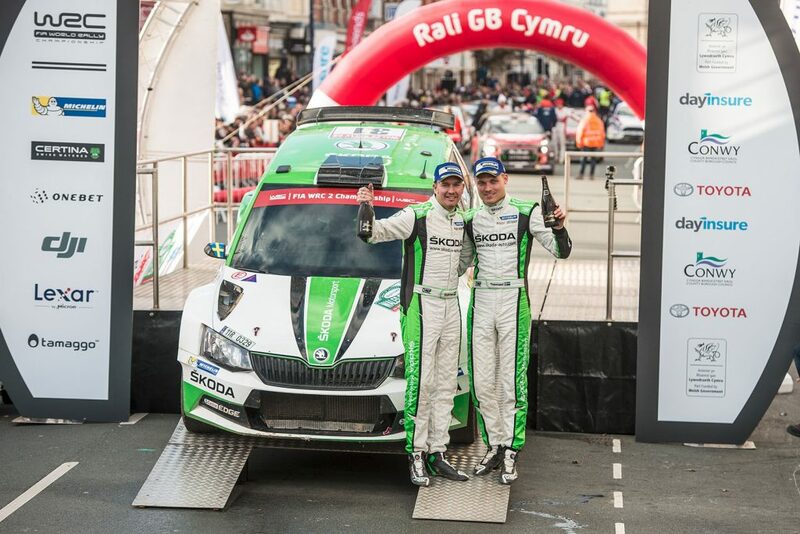 ŠKODA Motorsport boss Michal Hrabánek and the ŠKODA Motorsport team could celebrate season victory number ten achieved by a crew driving a ŠKODA FABIA R5. “Pontus and Jonas were in a class of their own at Wales Rally GB. 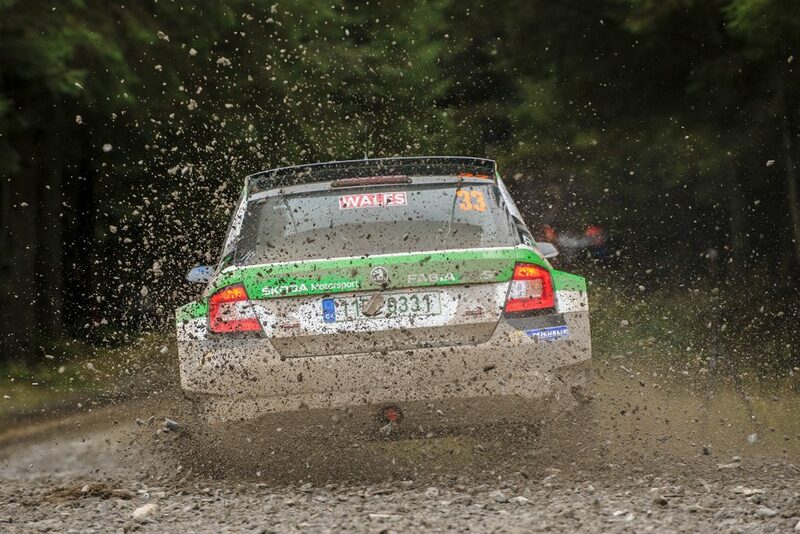 Juuso and Tapio improved steadily on their first rally in Wales, while O.C. 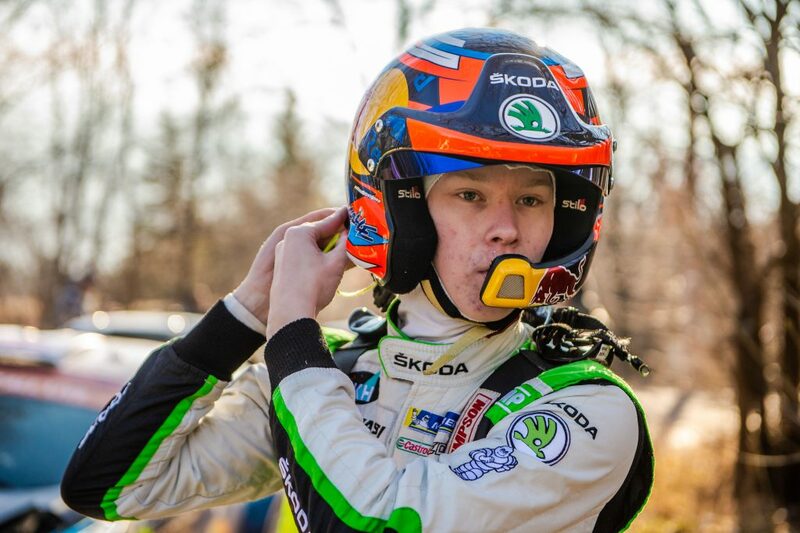 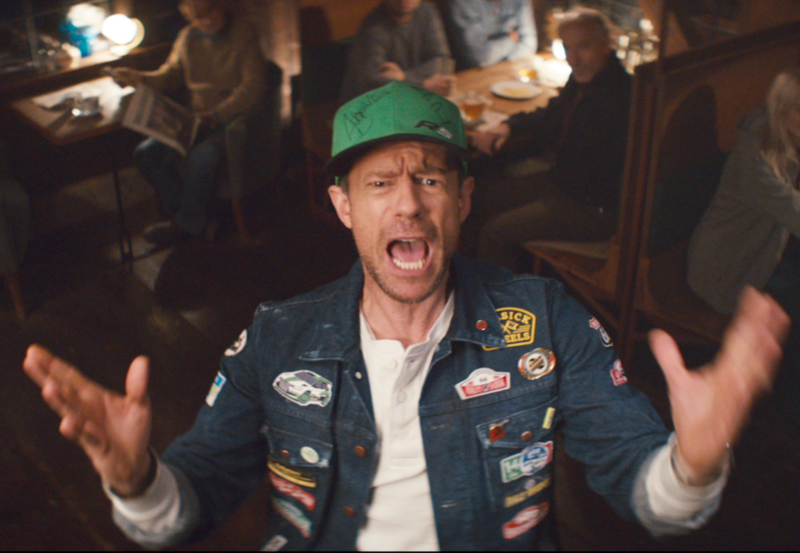 and Stig Rune, after their bad luck on the first day, made the best out of it, gained valuable experience and at least finished the rally,” commented Hrabánek. The newly crowned WRC2 Champions Pontus Tidemand and co-driver Jonas Andersson scored the tenth World Rally Championship (WRC2) season win for a crew driving a ŠKODA FABIA R5.